Tonight show was the last one in 2011, an incredibly turbulent year. A lot of affairs occurred, but we can’t be happier if tonight show healed your weariness and we could spend a romantic Christmas Eve with you. 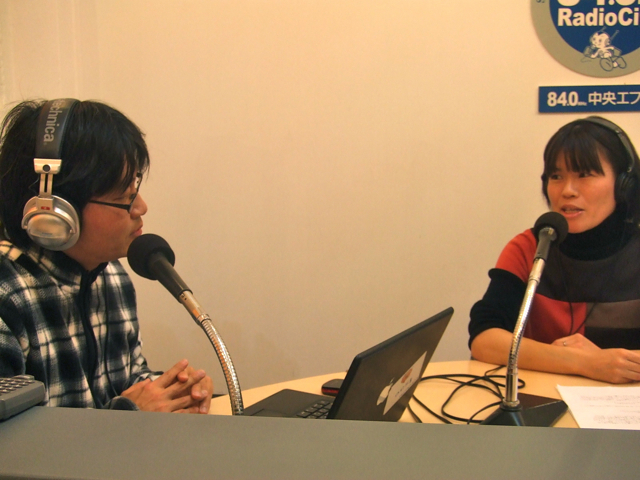 We had Tomoe Ono, a representative of ASIA Link, again this week. The source of her activities, especially working as a “bridge” between foreign students and small businesses in Japan, is a her life in Finland. She moved there 10 years ago because her husband got an opportunity to research at a local university. She didn’t understand the language at all, so she had difficulty with even daily shopping. “Foreigners are forced to live such a brutal life” she thought that for the first time in life. 6 months after she got to Finland, she entered the Finnish class. She found a nursery school for her son (That means it took 6 months for her to find it because of the language barrier) and gained a little freedom from child rearing. Then a lot of information came into her. She said that she finally could become a “resident” there. 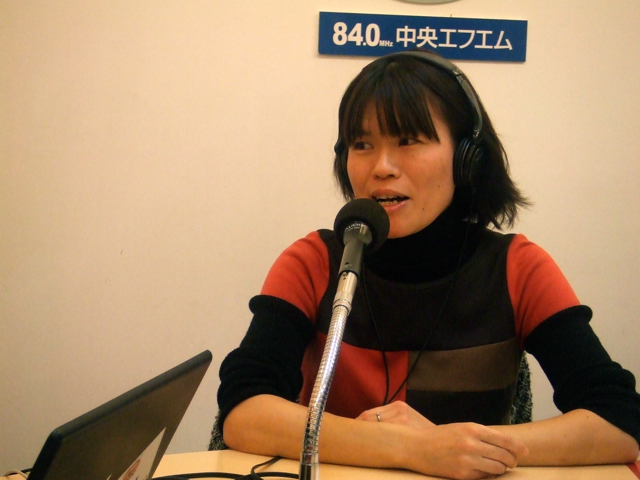 “As soon as I learn the language, my life has totally improved!” Ono thought that and she qualified as a Japanese instructor after she came back home. Before she went to Finland, she worked at a music publisher. She steered her life in a totally different direction after only one year life in the foreign country. She had her 4th child last year and took off from her teaching job. Then she established a private organization called “Network for Multicultural Society, TAMA” which supports foreign mothers who live and raise children in Tama Area. Foreign mothers are easy to be isolated from society and become information have-nots due to the linguistic handicap. Ono had the same experience in Finland. So their mission is to provide them both information in their daily lives and opportunity to play leading roles in their neighborhood. Ono heard foreign mothers’ voices and studied community business in parallel. Then she established ASIA Link this October. She emphasized that mothers are really appropriate to the entrepreneurs because they learn what people need through their real lives. I asked her after the show. I was really touched. Because that’s exactly the same as My Eyes Tokyo’s goal. So we would like to help create the society here in Japan at full power with ASIA Link! 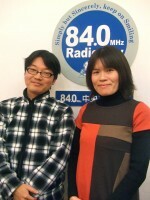 Thank you very much for listening to our program in 2011. My Eyes Tokyo’s first session in 2012 will start at 7pm on Jan.7 (Sat) and Arlene and Maya will be back to studio on Jan.14, 2012. We’ll really appreciate it if you continue to listen to our show next year. We believe that the year of 2012 will be a year of progress for My Eyes Tokyo. And our very best to you all. Happy holidays & A Happy New Year! See you again at 7PM on January 7 (Sat), 2012! !